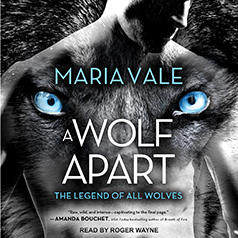 Maria Vale presents the second book in the Legend of All Wolves series. Thea Villalobos has long since given up trying to be what others expect of her. So in Elijah Sorensson she can see through the man of the world to a man who is passionate to the point of heartbreak. But something inside him is dying . . .
Elijah Sorensson has all kinds of outward success: bespoke suits, designer New York City apartment, women clamoring for his attention. Except Elijah despises the human life he's forced to endure. He's Alpha of his generation of the Great North Pack, and the wolf inside him will no longer be restrained . . .